So much to see, so little time! 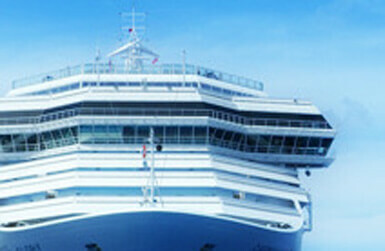 Cruises are a great way to visit many places in just a few days. However, your time at each port is often short and you need to plan your visit carefully in order not to feel lost, nor overwhelmed, and most important, manage to get back to the ship on time. As you know, the ship doesn’t wait and if you miss it, you’ll have to find your way to the next port (and pay for it!). Tour starting time. It’s important to know the expected arrival time of your ship, as well as the departure time. In my experience, even ships arriving earlier don’t open their doors until at least 8AM. 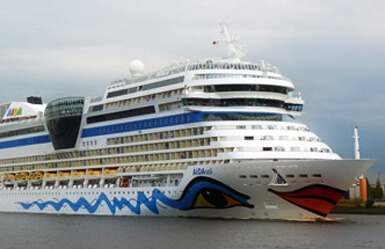 Then, at least in the Port of Barcelona, it usually takes around 30 minutes for the cruise staff to set up the gangways and go through all the required port authority protocols. And once they open the gates to allow passengers out, most of the time there’ll be people in front of you trying to get out, so it makes sense to calculate that you won’t be exiting the terminal until at least 45 minutes after the ship docking time. Ending time. Next in our tips for cruisers: don’t be fooled by your departure time: that’s the time when the ship leaves, but you’ll be usually required to be back no later than one hour before departure. Take that into account to calculate how much “real” touring time do you have. 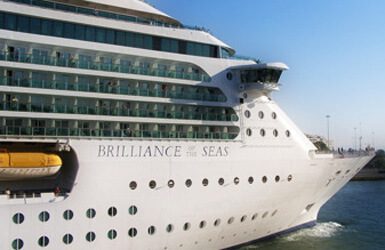 Most cruisers do well with 4 to 6 hour tours: longer than that would only work if the ship is staying overnight (which is not very common, although a couple of cruiselines do). Travel time. Now it’s time to consider how much time are you going to use traveling to the first site you wish to visit (and how much do you need to get back). I recommend to check out my post on transportation tips for cruisers to figure that out, as it changes a lot depending on if you are planning to use public transportation, walk or take cabs. Of course, if you are taking a private tour, your guide will take care of everything so you can just relax and enjoy your sightseeing. Standing in line. Barcelona during the cruise season can be quite crowded. It’s a good idea to plan beforehand which sites do you wish to enter during your visit as sometimes it is possible to buy tickets online in advance. It can be very disappointing to arrive to the Sagrada Familia and miss the inside because you can’t waste one hour or more queuing! However, lines are not a problem when you are touring with an official licensed Tourguide, as we have the right to skip lines in museums and monuments: no reservations needed, no time wasted in line, no need to buy tickets in advance! (check also our Barcelona shore excursions tips for fast-track entrance). Time inside the sites. Unless you have decided to focus heavily on one single top site for some reason, you are likely to want to get an overview of the city. In this case, I suggest you choose one site to go in (Sagrada Familia is my all-time favorite), and spend between 45 minutes to 1 hour inside. Then, chose some other areas to stroll around and see things from outside. In my private Barcelona excursions for cruisers, we enter the Sagrada Familia, but there is also time to drive around the Hill of Montjuic and along the waterfront, walk around the Gothic Quarter, and stop in Passeig de Gracia to see the Gaudi apartment buildings. However, that makes sense only when you have a private driver: on your own, that would be way too ambitious. In order to see as much as possible during your stopover in Barcelona if you don’t have a guide, make sure to plan, plan and plan beforehand! I hope you found our Mediterranean cruise excursions tips useful to plan your sightseeing! We see you now on the comments! Let us know if you have any other Mediterranean cruise excursions tips to share with us!